GetFPV announced a new Cleanflight / Betaflight compatible flight controller – the Lumenier LUX FC. The new controller is powered by STM32F303 processor, like the SPRacing F3. The board has an interesting design and very low profile. The F3 processor runs at 72MHz and has integrated FPU. The MPU6500 is connected on SPI, so you can benefit of the 8KHz gyro data rate and reach very low loop time. I like the low profile and hope the solder pads are really reinforced as described. This will reduce the chance of pads coming up. I welcome the decision having the ESC solder pads on each end of the board, so you can more easily connect / solder them. You can power the board directly from your, up to 6S, LiPo battery on the “BAT” pad. Great feature is the filtered 3.3V/5V (1A) output, so you can power your receiver and additional telemetry / OSD peripherals. Because of the built-in hardware inversion in STM32F303 MCU, you can use SBUS and S.Port telemetry without any additional modifications. 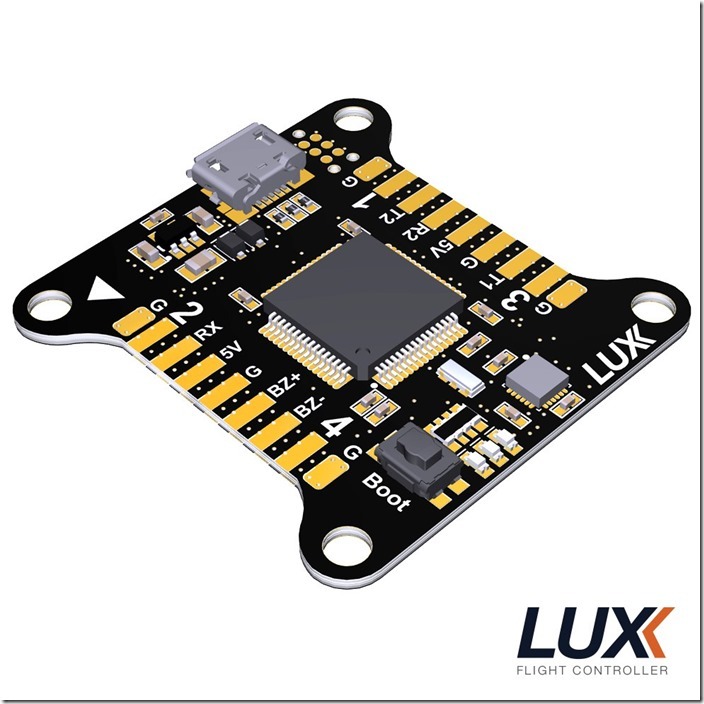 The Lumenier LUX flight controller also has an integrated FrSky RSSI (Received Signal Strength Indication) filer. Simple but useful feature is the dedicated boot button, so you can easily put the board in bootloader mode and restore its firmware. It does not happen very often, but it is still a nice feature. Summary: it’s a promising new flight controller. 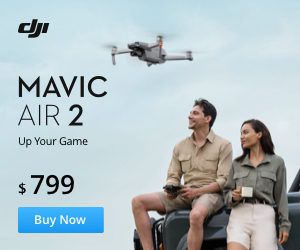 Its not a groundbreaking one, but has good features, that will make your life building a FPV racer easier. You probably wont need a power distribution board anymore, if your FPV gear can be powered directly from the battery too. And the STM32F3 has enough processing power for the current Cleanflight firmware state. Definitely one of the best Cleanflight flight controllers at the moment. You can pre-order it at GetFVP. How do I power my ESCs with this FC (if not using a PDB)?